Lizzy is a charted ergonomist and human factors specialist, registered with the CIEHF. She also holds a First-class BSc in Ergonomics (Human Factors Design), a Diploma in Professional Studies and the NEBOSH General Certificate in occupational health and safety. She is a registered member of the User Experience Professionals Association (UXPA) and is an access auditor, completing her training with the Centre for Accessible Environments (CAE). With five years of ergonomics and UX experience, Lizzy provides consultancy services to clients in a variety of sectors. Prior to joining System Concepts, she worked for a consultancy providing expertise in the defence and cyber security sectors. She then joined a design consultancy where she built her UX experience in the medical devices and rail industries. Lizzy is also highly knowledgeable in office ergonomics, advising large corporations in the finance sector. 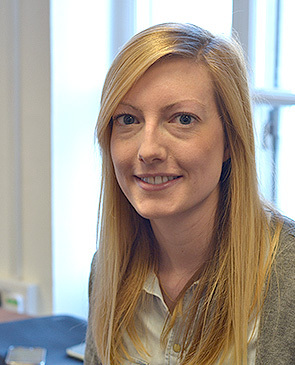 Lizzy works closely with clients to provide support that will enable them to meet their legal responsibilities, prevent injuries and ill health, and improve customer and employee experience and satisfaction. Planning and delivering research projects to meet business needs. Evaluative research such as usability testing and expert evaluation of products and services across multiple platforms. Interpreting research findings and communicating actionable insights and design recommendations. Assessing the workplace and advising on physical and process design to improve accessibility, avoid work-related injury and raise productivity. Ideation research including creative workshops and in-depth interviews to validate solutions and determine customer needs. Customer journey mapping and persona development to help visualise and communicate business needs, opportunities and understand target markets. Consumer safety, anthropometry and product design; developing ergonomics design parameters and guidelines.